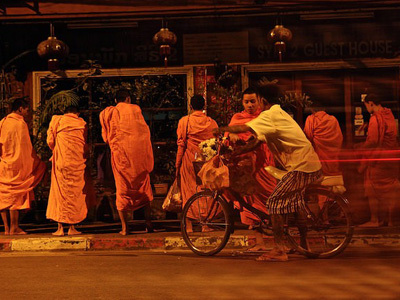 Embark on a culture and romance filled journey through Cambodia and Thailand. 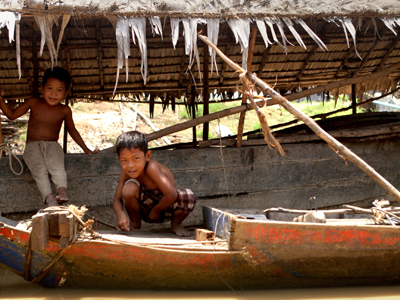 Begin your adventure in the historically rich region of Siem Reap, here you'll have the opportunity to explore the fascinating Angkor archaeological complex as well as spend time interacting with the local people of Kampong Khleang stilt village to experience the unique culture of living of Tonle Sap lake. 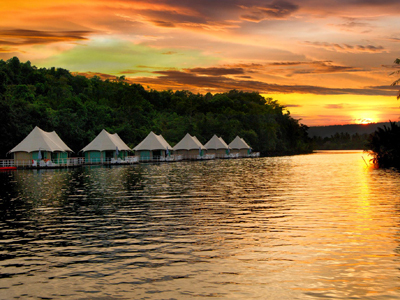 You'l l then head deep into the Cardamom Mountains where you'll spend the next 3 nights in a floating tent along the river, immersed in nature to enjoy the surrounding beauty of the lush green jungle. Your journey then takes you overland across the border into Thailand for some much deserved rest and relaxation on the beautiful and unspoiled island of Koh Kood. 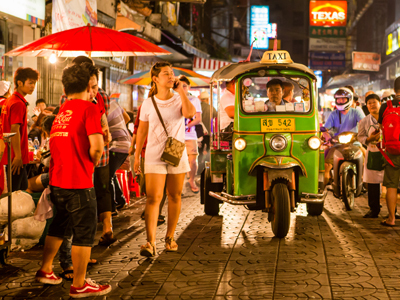 End your amazing trip in the bustling urban city of Bangkok before heading home. 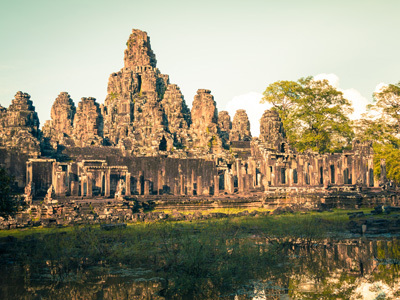 After breakfast, you'll meet with your private guide to set out and visit the key figures of the Angkor Archaeological complex - Angkor Thom and Angkor Wat. Angkor is visually, architecturally and artistically breathtaking. Angkor is one of the most important archaeological sites in South-East Asia if not the world. Stretching over some 400 km2, including forested area, Angkor Archaeological Park contains the magnificent remains of the different capitals of the Khmer Empire, from the 9th to the 15th century. They include the famous Temple of Angkor Wat and Angkor Thom, the Bayon Temple with its famous faces and countless sculptural decorations. UNESCO has set up a wide-ranging program to safeguard this symbolic site and its surroundings. Early morning departure to Beng Mealea, another seldom-visited ruin and a spectacular jungle temple. Almost no restoration of the area has been undertaken so the jungle is becoming one with the carved sandstone. Roots of kapok trees twist and wind their way around the carvings and gray galleries. Intricately carved depictions have been well preserved, including scenes from the sacred Hindu Vedas, such as the bird-god Garuda giving birth to Vishnu, the god who preserves all things. Enjoy your picnic lunch in the peaceful ruin of Beng Melea. 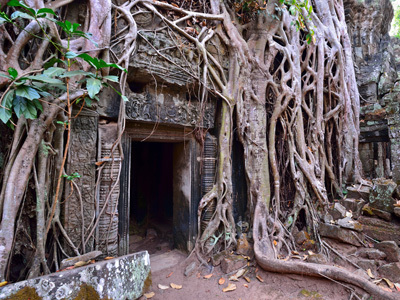 In the afternoon visit Preah Khan with its labyrinth of grey, decaying stone courtyards that are slowly being reclaimed by the jungle. Large kapok trees extend limbs and roots throughout the carved stone work; while raucous parrots screech and monkeys keep watch to complete a surreal picture. Next we’ll explore Ta Phrom. This jungle-clad temple with overgrown trees exudes a haunting and exotic atmosphere. The magnificent roots of a tree push between the temple's huge stone blocks in a strange embrace. This morning you'll be met by your guide and driven to Kampong Kleang Floating Village - approximately one hour outside of Siem Reap. Imagine wooden houses on 10-meter-tall stilts, surrounded by water in the wet season, and on the flood plains of the lake in the dry season. You will drive on dirt road to the village. Along the way, you will see wooden houses and traditional fishing equipment, as well as small children waving to say hello as you arrive. You will meet with a local family who will welcome you into their traditional stilt home for some tea and coffee. You'll then proceed to walk around and explore the village to learn more about life on the lake and the traditional fishing techniques employed here. After a delicious lunch, you'll begin your work with a water filter installation. Together with the assistance of your guide you'll set up the water filter in the home of the recipient family, which will provide them with clean drinking water for the next five years. Today, you will be picked up at your hotel in Siem Reap and transferred to the airport in good time to board your domestic flight to Sihanoukville. Prepare yourself for a full day of new experiences. Leaving 4 Rivers around 10 am, depending on the tide, you will cruise deep into the mangroves to experience a rare glimpse of life among the fishing communities that live off the natural bounty of this watery paradise. Drinks will be served en route as you glide down the waterway to your fishing village destination where you will spend time with these shy but friendly people. While the men tend their boats, the womenfolk patiently mend their nets and children play tag and football in the narrow alleyways between the stilt houses. You will also visit the Cham (Muslim) part of the village, which is reached via a maze of small bridges. You can make a short but comfortable climb to get an excellent panoramic view of the surrounding countryside and the ocean. Back in the boat, you will experience the pure magic of life among the mangroves and its wildlife from our boat and the kayaks. (This service is on join group basis). Your day, depending on the tide, starts at around 10 am for the 45-minute boat ride past Tatai village to the falls. Turning on to a tributary; you head into the heart of the Cardamom jungle to the far-off sounds of exotic birds and its secretive wildlife. Within minutes, you are at journey’s end, gazing down into the turbulent waters of the falls. Soon it is time for lunch, maybe a few moments hydro-massage and a refreshing drink as you find some shade for a picnic and open your senses to the sights and sounds of the jungle. We will also arrange to transport some kayaks for your added fun and adventure. After leaving the falls, we stop at the mouth of a small river where you can paddle your kayak to a traditional Cambodian farm; you will see rice fields and some fruit trees depending on the season. At 7:30 am meet your private driver and guide at hotel for your transfer to the Thai border (transfer duration: approx. 45 minutes). Upon completing custom formalities you'll cross the border, where your private Thai driver will be waiting to transfer you to Trat (transfer duration: approx. 1 hour). You'll arrive a the High Season Resort's reception office at Laem Sok Pier in time to board 2:30 PM speedboat departure to Koh Kood. You'll arrive at High Season Resort Koh Kood at around 3:30 PM. Check-in and enjoy the remainder of the day at your leisure. 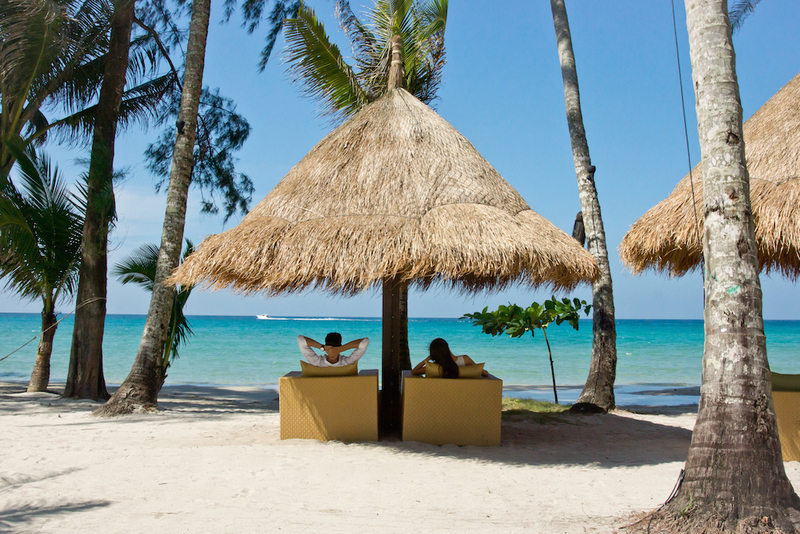 Enjoy a full free day of rest and relaxation on the beautiful island paradise of Koh Kood. 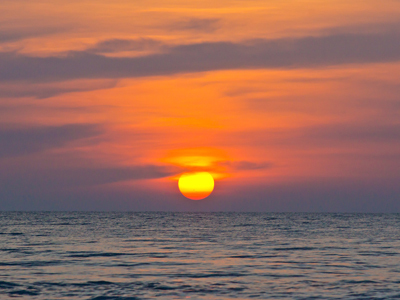 Located 350 kilometers from Bangkok and 50 kilometers from the mainland, Koh Kood deserves its growing reputation for untouched natural beauty. Thailand’s fourth largest island, at 105 square kilometers, Koh Kood remains undeveloped with a rainforest blanketing hillsides that slope to deserted, coconut palm-shaded beaches and the Gulf of Thailand’s alluring cobalt waters. Enjoy another full free day of rest and relaxation! This morning please be ready at the lobby of your hotel for your 9:30 AM speedboat transfer to Trat. You'll arrive at Laem Sok pier at 10:30 AM, where your driver will be waiting to transfer you ot the Trat airport for your departure flight to Bangkok. The remainder of day will be free to explore Bangkok on your own. This morning is free at your leisure. Normally, hotel check out time is at 12:00 PM (late check-out is not included). Depending on your flight schedule, you can leave your luggage at the hotel’s lobby and explore the surrounding area independently. The Shinta Mani Angkor is an upscale boutique property that showcases only 39 contemporary designed rooms. You will be pampered with all of the modern luxuries, perfect for your very own home away from home. The lovely public spaces throughout the property feature a beautiful Khmer inspired design. This exceptional Angkor hotel enjoys a tranquil garden setting within the French Quarter of Siem Reap. The soft lighting, fragrant scents and impressive touches of detail blend together harmoniously throughout the entire grounds of the sophisticated Shinta Mani Angkor. Accessible only by boat, the 4 Rivers Floating Lodge features 12 landless suites, which all float on their own buoyant platforms, moored to the riverbank. Outfitted with a ceiling fan, armoire and wood-paneled shower, each of the towering, safari-style tented rooms offer a nearly 360 degree view of the surrounding tropical landscape. A boardwalk connects the rooms to a central lounge and dining area. With so much to do every day, you will be spoiled for choice. 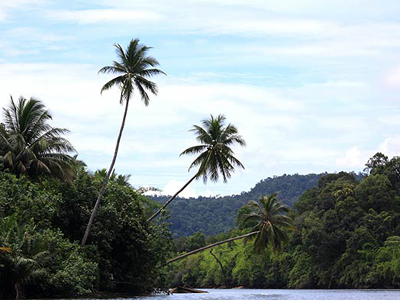 Kayak down river with or without an experienced local guide, explore the mangrove waterways that reach back into the jungle or team up with some locals and try your hand at fishing. 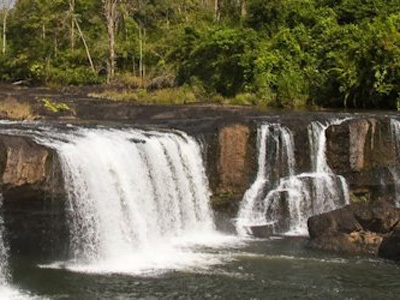 Excursions can be arranged to Tatai Waterfall, Koh Kong on the border with Thailand, local markets in nearby villages or other various cultural adventures. Or if you're feeling lazy, enjoy a refreshing swim in the river or just lounge by the restaurant terrace to admire the sunset. Breathtaking views of the Gulf of Thailand with its picture perfect location on the pristine sands of Klong Chao Beach, the luxurious High Season Pool Villa & Spa offers the real deal. If it's tranquility you are after, you will find it here. Whether you are keeping busy in the water with marine activities or getting lost amidst the lush surroundings of Koh Kood, the possibilities are endless. 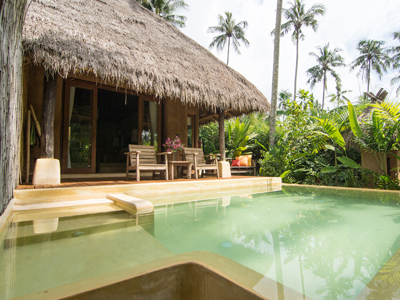 The resort boasts 42 luxurious private pool villas, offering you a chance to relax and revel in a tropical paradise within an environmentally-friendly setting. Welcome to the closest place to heaven on Earth that you can get! At The Peninsula Bangkok, luxury standards are met with sophisticated Thai charm, to create the ultimate cultural and comfortable experience. 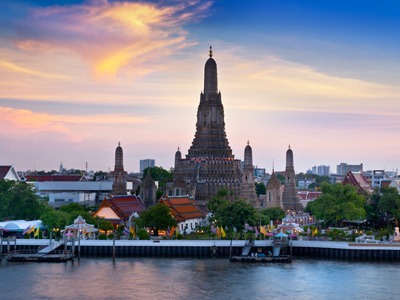 From the hotel’s iconic Peninsula Green Tuk Tuk, to an adventure down the Chao Phraya River and sumptuous authentic Thai cuisine featuring recipes used by generations of Palace cooks, the possibilities from this property are endless. This hotel embraces the epitome of luxury Thai style and accommodation, including guest rooms and suites, which all boast magnificent river views. Strategically designed, using these traditional style elements with convenient state-of-the-art technology, the legendary Peninsula offers a stay that you will never forget. This is just one of many authentic travel experiences offered by Global Basecamps. If you are interested in more unique destinations to Cambodia with unprecedented planning and extraordinary service visit our main Cambodia tours page to browse other sample trips.